Another Huawei model, the 845 is small but fairly chunky - it's 14mm thick - and has an unusual button layout for an Android phone, with home and back incorporated into one key, which makes navigating direct to the first of the seven home screens a little tricky. There's no hard search button, though it's present in a tool bar on the screen. 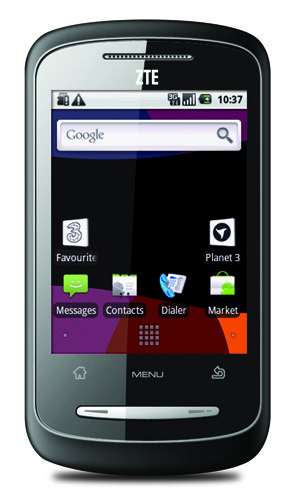 The 845 has Android 2.1, but the processor is rather sluggish and it can be frustratingly slow at times. The touchscreen is resistive rather than capacitive which is always a little disappointing to use as the sensitivity just isn't there, particularly on a smallish 2.8in screen like this one. Fortunately, the optical trackpad in the middle of the button array is very sensitive and makes getting around a lot easier. There’s also a middling 3Mp camera with no flash. Better still, the 845 is a cheap as chips. Chinese manufacturer ZTE chose Three as the Trojan Horse to smuggle its first Android phone into the UK - it’s since been joined by the Orange San Francisco - and a decent first effort it is too. There are touch-sensitive home, return and menu buttons beneath the 2.8in touchscreen, which is resistive rather than capacitive. It runs on a near-vanilla Android 2.1 with very little input from Three and features - surprise - three home screens. The 600MHz processor and 256MB Ram keeps things nipping along nicely but the tiny battery doesn't quite stand up to some of the others, and you'll be lucky to get a full day's use out of it. 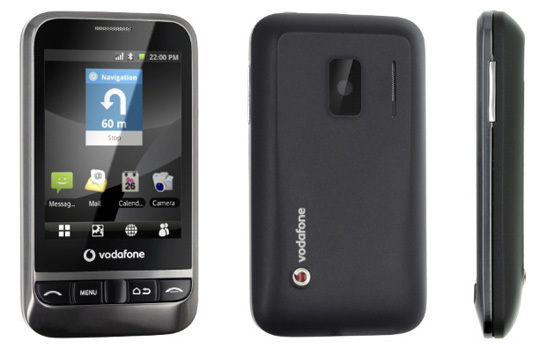 There’s a 3.2Mp camera with no flash, and it’s available in black or white.